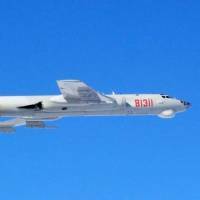 China’s air force said Saturday that its warplanes had conducted long-range drills over the Bashi Channel and the Miyako Strait “several times” over the past week, just a day after the country’s Defense Ministry told Japan that it should “get used to” the military exercises. “China’s air force over the past week conducted multiple drills far out at sea, with H-6K bombers and many other types of aircraft flying through the Bashi Channel and Miyako Strait, testing actual battle capabilities over the sea,” air force spokesman Shen Jinke was quoted as saying by the state-run CGTN website. The Miyako Strait lies between the islands of Miyako and Okinawa while the Bashi Channel separates Taiwan and the Philippines. Both are key entryways into the western Pacific Ocean. 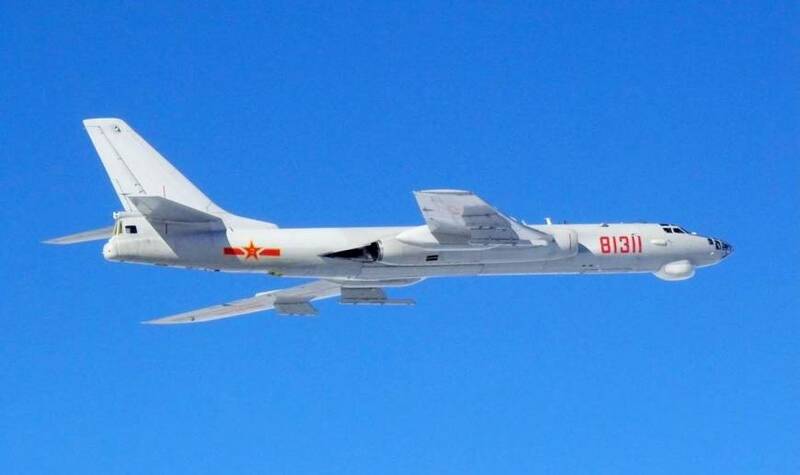 Saturday’s announcement came after a Defense Ministry spokesman defended what he called “routine exercises” Thursday that saw six Chinese H-6 bombers fly through the Miyako Strait. Japan scrambled fighters in response. There was no violation of Japanese airspace. “It is legitimate for Chinese military planes to fly through the strait, and more similar training will be conducted on the high seas as needed,” spokesman Ren Guoqiang Guoqiang said. Ahead of last week’s exercises, the Chinese military last sent ships and planes through the international but politically sensitive waters and airspace in April as part of its continuing push to hone its ability to operate further from its shores. Exercises through the Miyako Strait have become more and more commonplace as China seeks to project its military clout farther into the Pacific. In early March, Japan scrambled fighter jets after a total of 13 Chinese naval aircraft were spotted flying through the strait. That large-scale drill featured fighters, bombers and early warning aircraft. Beijing has blasted Tokyo for hyping the exercises, calling them part of “regular” drills, while Japan has said it will keep a vigilant eye on the “expanding and increasing” actions of the Chinese military in the area. According to data released by Japan’s Defense Ministry on Friday, the Air Self-Defense Force scrambled fighter jets in response to Chinese aircraft 101 times from April to June, down from 199 last year. The plunge came after the ASDF scrambled fighters against Chinese planes a record-high 1,168 times in fiscal 2016, which ended in March.